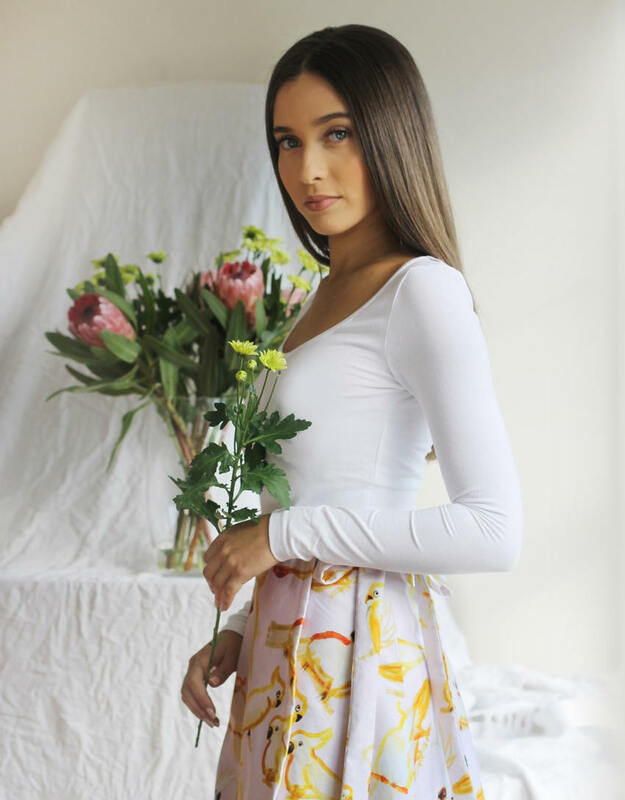 Divine a-line wrap around skirt with original yellow, mustard and ochre cockatoo print on the softest shade of pink 100% cotton como. Super cute, flirty and flattering. 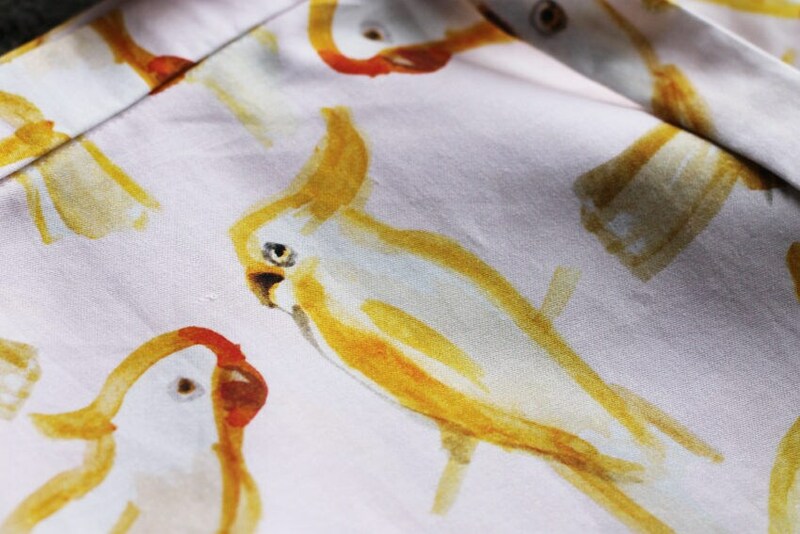 My own yellow watercolour cockatoo sketches have been printed on the softest pastel pink background, inspired by the abundance of bird life seen from my balcony and studio window. Easy to wear and adjust to the body, the skirt wraps around the waist and does up at the side with two generous tie straps. >>> Currently made to order - hand made using original textiles please allow 2-3 weeks for fabric to be produced and then sewn up. 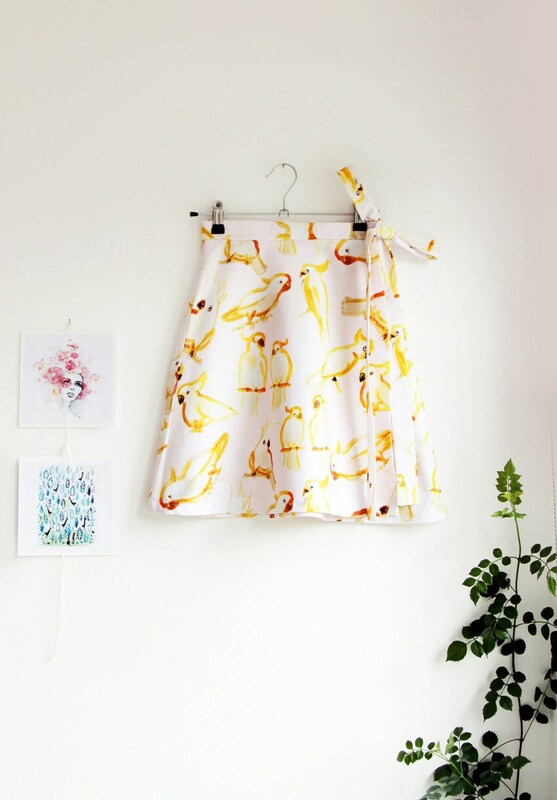 - A-line slightly flared wrap around skirt. - Lined with cotton poplin. - Tie straps that do up at the side. - 100% cotton como fabric that is lovely and soft, has a slight lustre and smooth luxe finish.